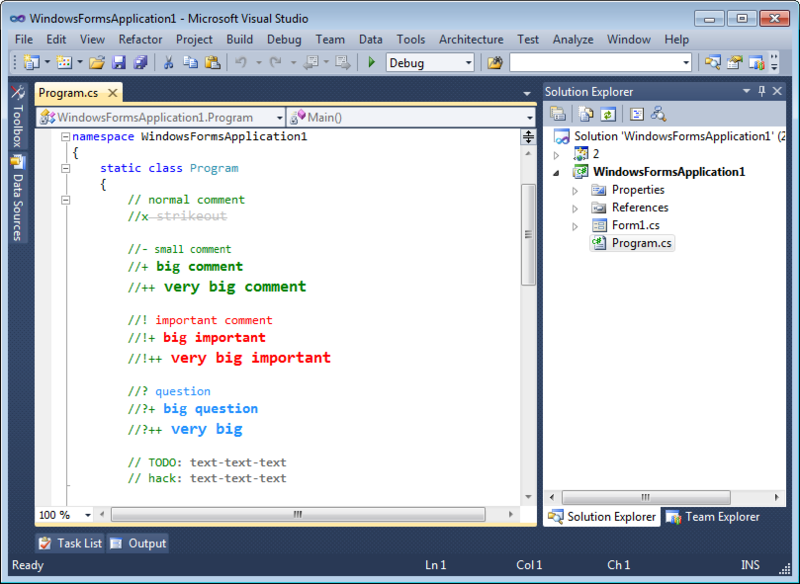 SharpComments is a free extension, supports only C# and Visual Studio 2010. You can download it from Visual Studio Gallery. To insert an image in code you can use the Image Insertion extension. Very nice. Any chance you could do this for VB.NET? 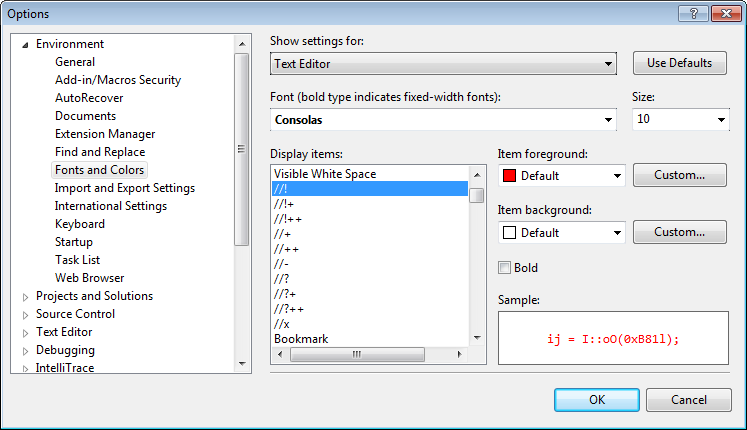 I can’t say for Vitaly on future VB.NET support in SharpComments, but there are currently two commercial offerings that provide color comments in VB.NET and C++: VSCommands 2010 and VS10x Comments Extender. Thank you. I’ve been using this for a week now and it’s working well.